JEM. 1951. 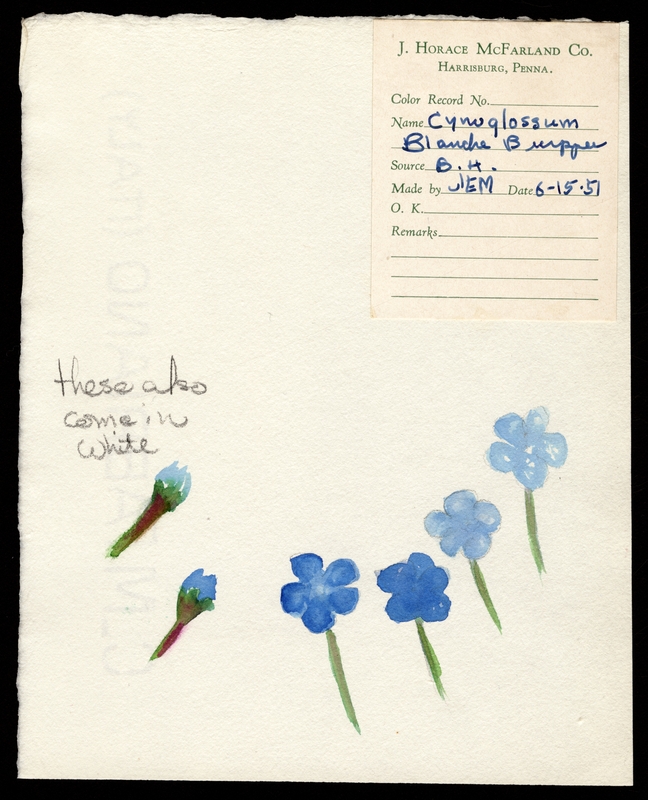 “Cynoglossum amabile (Balanche Burpee Chinese forget me not).” Special Collections, USDA National Agricultural Library. Accessed April 23, 2019, https://www.nal.usda.gov/exhibits/speccoll/items/show/8671. A watercolor featuring two larkspur buts and four open larkspur flowers. A handwritten note reads, 'these also come in white.' A tag in the upper right corner is the source for the included metadata.